Diess: After the diesel-emissions fix is resolved, VW will work out a new strategy for the U.S.
GENEVA -- The head of the Volkswagen brand said the embattled marque will revisit U.S. sales goals only after resolving diesel-emissions violations with U.S. regulators. VW’s U.S. deliveries fell 15 percent in January from a year earlier, extending a three-year streak of falling sales during the U.S. auto market’s post-recession rebound. VW brand volume slipped 4.8 percent to 349,440 vehicles in 2015, a record year for the industry with volume up 5.7 percent to 17.47 million cars and light trucks. It’s been a difficult road for the brand that once aimed to sell 800,000 vehicles in the U.S. by 2018, but a rebound isn’t VW’s top priority right now, says VW brand chief Herbert Diess. Volkswagen, the EPA and the California Air Resources Board have been locked in monthslong negotiations over VW’s plan to recall and repair nearly 500,000 diesel vehicles equipped with software that illegally masks emissions in lab tests. 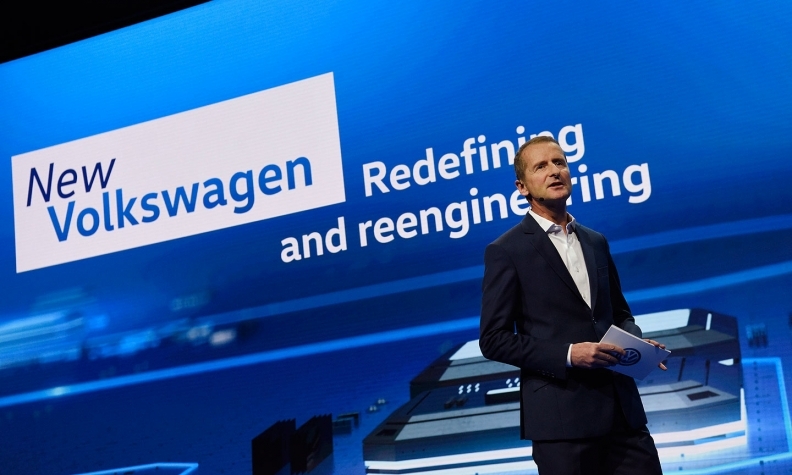 Diess declined to discuss why the negotiations toward a fix have taken so long, but he said the company has proposed technical fixes for all three generations of VW diesel engines carrying the software. Details about those fixes could emerge in the coming weeks. A federal judge in San Francisco overseeing hundreds of lawsuits filed against VW has set a March 24 deadline for VW to disclose whether it has a plan that regulators will accept. Diess said VW plans to rebuild customer trust damaged by the emissions scandal. The automaker has hired victim-compensation expert Kenneth Feinberg to develop and administer a program to compensate diesel owners. Diess said Feinberg’s claim process will be announced after VW reaches a settlement with the EPA and CARB.